"Let's walk. That way, if I go nuts, you're the only one who dies." Batman's death affected everyone differently. Nightwing assumed the mantle of the bat, Damian became the new Robin, the old Robin became Red Robin, and the vigilante Deadshot? He meets with a man of the cloth, seeking answers for why he suddenly wants to fire six rounds into anything with a pulse. If that sounds like a man with more issues than TIME Magazine, you're right, but legendary guest scribe, John Ostrander covers them in one. 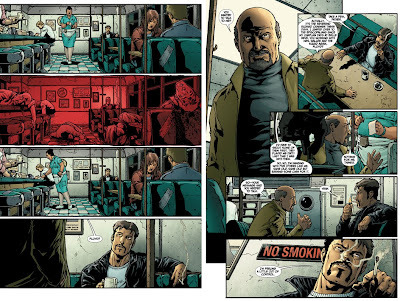 A fill in issue of writer Gail Simones cult success Secret Six, Ostrander drops 5 bullets from the chamber and delivers a top-class character study that only the man who put the 'soul' into the Spectre can do. Rendered in some of J. Califore's best artwork, featuring one of the best 'Bruce Wayne' depiction's in a long while, and wrapped in a stunning LuVisi cover, this issue creates a welcome resting space between story-arcs, and massive multi-title encompassing crossovers. For fan's of DC's 80's hit Suicide Squad, it's a writer/character reunion that's been a long time coming. For me it's made even sweeter by the fact that earlier this year Ostrander was the personally the subject of one of the most positive events in recent comics history, then a few months later he fills on a title I've had my eye on and 'Bam!' it's on my pull-list in a single shot. Looks awesome! 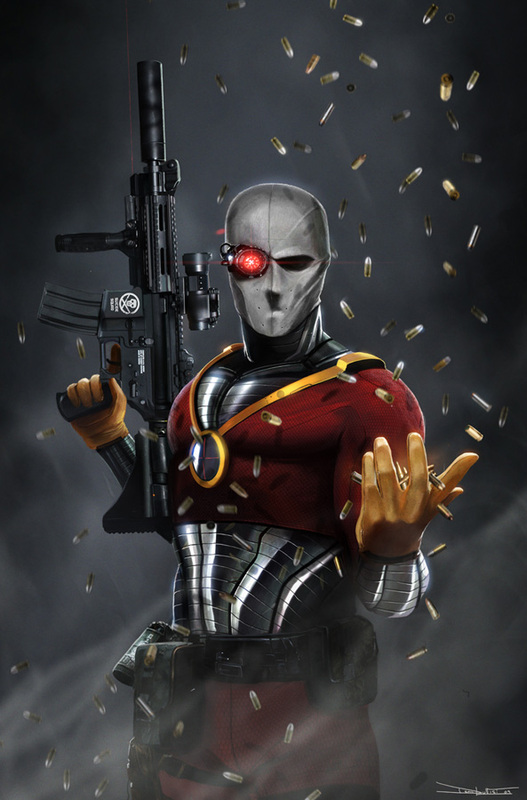 Deadshot is such a great character. Although I do sometimes get him mixed up with Deathstroke...They're both kind of reverse-Batman types.